One Faith, One Hope, One Family: The Tradition Continues. Your support is critical to our parish! Our parish is in the final stage of the “One Faith, One Hope, One Family” campaign. As of Wednesday, 20 February, 92% of our campaign goal of 2.5 million dollars has been pledged due to your generous and sacrificial giving. Pledges continue to come in each week and we’re confident we can reach out goal. If you’ve not yet returned your pledge card in its envelope, please mail it into the parish office or drop it in the collection basket this weekend at Mass. If you need another pledge card, please call at the parish office. Thank you for your prayers and support. O God, hear our humble prayer. to the enduring hope found only in You. may we bear witness to the glory of God with great joy. especially as we enter a third century of faithful service to You. Today, under the leadership of Rev. Fr. Craig R. Eilerman, our parish has over thirteen hundred families; we are the largest parish in our city and county. Our school, which was founded over one hundred and fifty years ago, currently serves over two hundred and sixty children in preschool through grade eight, and maintains a close relationship with William V. Fisher Catholic High School. Our parish has many ministry programs, vibrant liturgies, and superb educational programs for young and old. 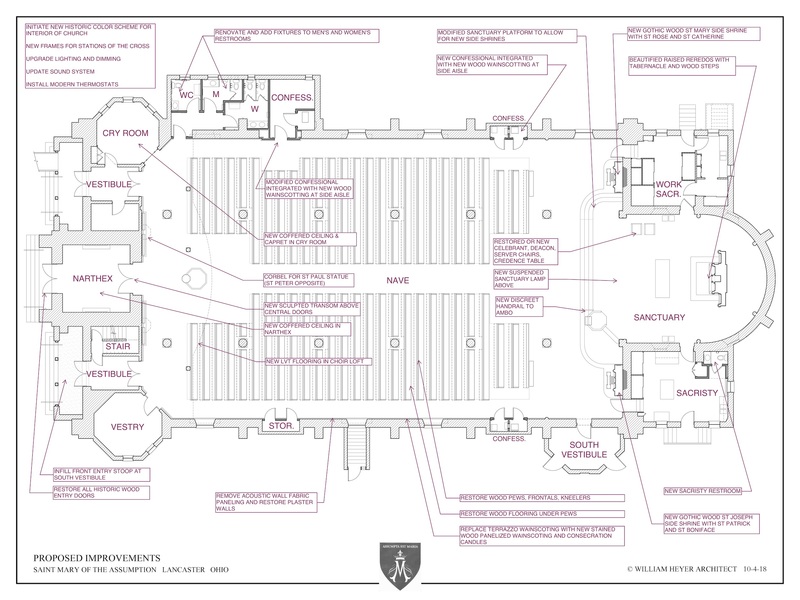 In recent years it has become apparent that our parish not only needs additional space, but additional work needs to be done in some of our existing properties and a Master Plan to address these issues has been completed. To this end, we have launched a campaign called One Faith, One Hope, One Family: The Tradition Continues to meet these challenges. The campaign seeks to raise a minimum of two and a half million dollars with a challenge goal of three million dollars. This campaign will require truly extraordinary levels of generosity. St. Mary School Buildings: Our parish school buildings are in need of attention as well. Our plans are to renovate the restrooms in the East building, create a new entrance for the Pre-School, install air conditioning in both the East and West school buildings, and install an ADA approved access ramp to the front of the East building. Spirit Center: Renovation of restrooms and replace the crumbing exterior wall located outside the spirit center doors. Other Projects: If we are able to meet our challenge goal the additional funds will be used to develop three and a half acres of land at our parish cemetery and to reserve funds for possible construction of a new spirit center in the future. For nearly two hundred years Jesus Christ has had a home in Lancaster. We call it St. Mary of the Assumption Church. That home is not merely a structure of brick and mortar but a living, vibrant community of faith that has been formed in Gospel values and has extended the mission of Jesus to announce the Good News, to unite, and to serve. 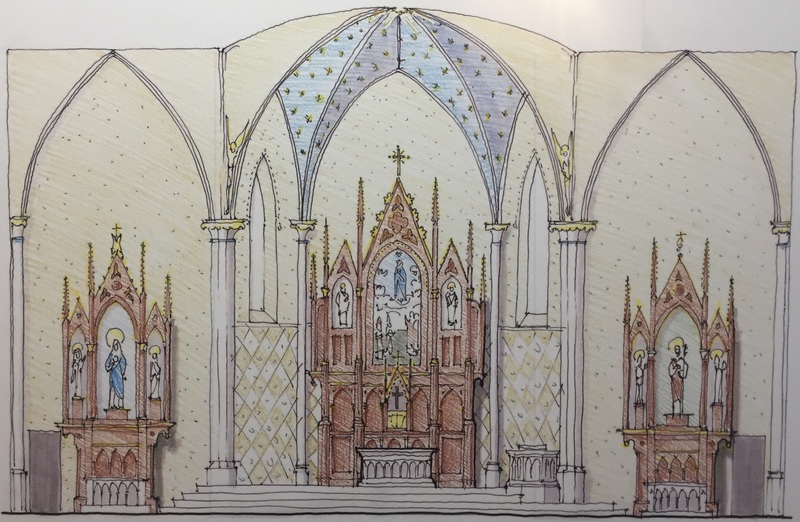 How exciting it is to lend support to a capital campaign that will extend the presence and mission of Christ for generations upon this Hill, and to build upon the great tradition of faithful service at St. Mary’s.